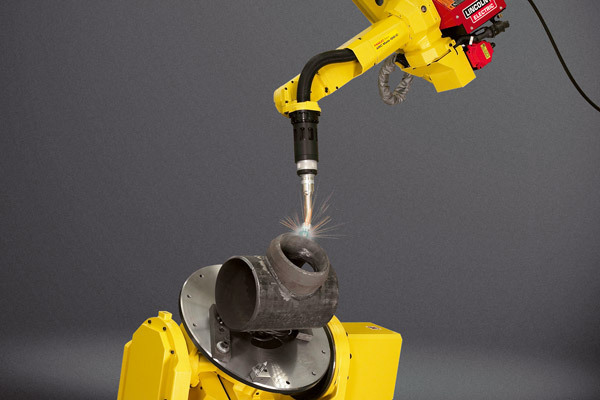 To get the very best out of your robot, FANUC provides a number of options designed to optimise its motions. These range from servo grippers to improve productivity on applications involving awkward sizes and multiple odd sized products to sophisticated software designed to coordinate motion between individual robots. 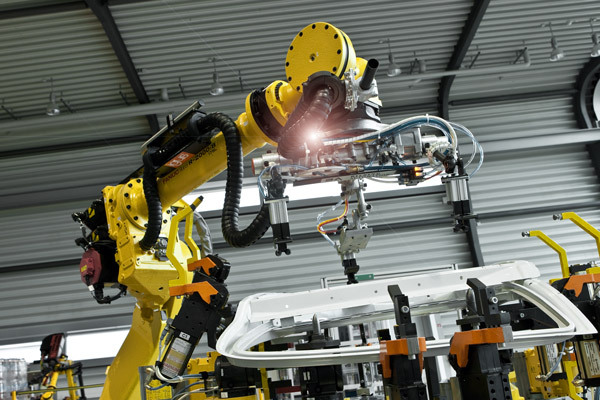 Extending to external items such as doors and conveyors, advanced motion control of this kind enables robots to be much more closely integrated into machine tools and processes for maximum productivity. This fully integrated standardised and comprehensive auxiliary axis package is the ideal solution for a diverse range of applications requiring an additional axis on your robot. These could include a rail, servo gripper, positioned or custom-made manipulator, involve two robots or a robot and positioner working together. Supporting up to eight independent motion groups, Multi Group Motion enables precise coordination between robots, increases operational flexibility and makes best use of the work area. 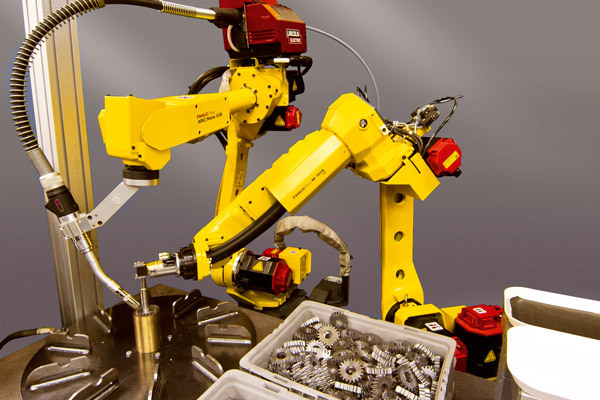 In situations requiring the precise positioning of parts and workpieces, FANUC’s easy to integrate 1 or 2-axis positioners make ideal companions for FANUC robots. Easy to integrate, they provide complete part accessibility, with highly sophisticated software functions such as coordinated motion ensuring that consistent surface speeds are maintained – something that is of huge benefit on welding and similar applications. Supporting your PLC, FANUC's integrated PMC controls external devices like conveyors or doors asynchronically. 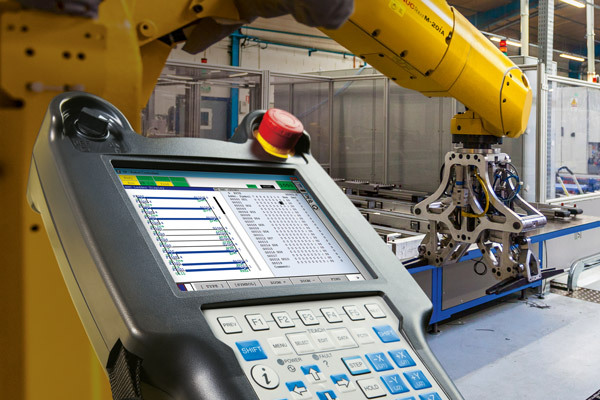 Acting as an integrated I/O control unit along with FANUC iPendant Screen Customise Function, this makes it possible to run small automation tasks parallel to the robot without the need for additional hardware.